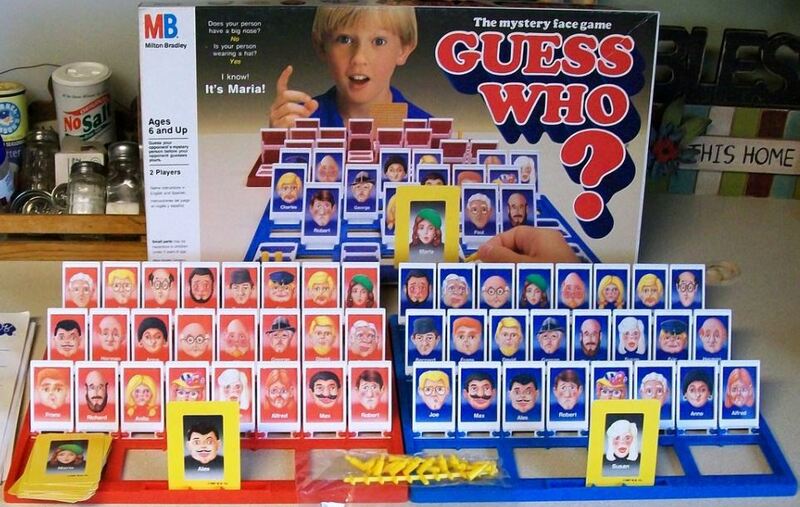 When I was a kid, “Guess Who?” was a very popular game with me and my friends at my after school program. It was always a pretty quick game, which had friends gathered around while waiting for their chance to play the winner. Perhaps you recall the game — two players, each choose a yellow card, which had the picture of one of the faces on the board, and take turns guessing which card the other person has. While each of the pictures has a name on it, players can only ask yes or no questions about physical appearance: hair color, hair style, age, etc. Some time back, I came across this game again. Initially I was somewhat excited since it brought back fond childhood memories, but I realized that the entire premise of the game was anything but objective or disinterested. In fact, the whole point of the game is to guess the features of your opponent’s card through a process of differentiation. While that may appear to be an objective action, the game teaches children to rely on physical features such as hair color, eye color, gender, and age as a standard way of classifying people, and the features — more often than not — reinforce certain gender and racial norms. For instance, the game I played as a kid had mostly images of white people with a few ethnically ambiguous people and significantly fewer women than men. Most women had long hair, make-up, rosy cheeks, and delicate features while the men generally had short hair (or none) and more prominent facial features. While the point is just to describe the way the people in the pictures look, so as to rule out who the opponent is or isn’t, this game ultimately teaches and reinforces certain stereotypes and hegemonies within our society. If we take Hasbro at face value, we could potentially conclude that, arguably, there are certain facial expressions and clothing types to draw on, but they don’t outline what those five characteristics are. There appear to be 5 cards per characteristic: hair color/type, eye color, glasses, hats, and yes, gender (and race in later versions of this game). So this six year old isn’t wrong. If one were to pick a woman or a person of color as their character and a question of gender or race were asked, there would be only 5 choices left on the board. Furthermore, if one were to assume that questions were based more on facial expressions than appearance, it would be hard to determine as the facial expressions don’t differ all that much. Even if Hasbro doesn’t want players to focus on gender differences, it is still a characteristic that, if guessed, would have certain (dis)advantages for a player. While these games may at first seem cute and fun, it’s important for us to recognize the normative work they’re doing, especially in the ways they teach us to understand identity. Though we cannot avoid these comparisons, it is worth noting which comparisons are more pervasive and the effects that has on how we (whether adults or children) understand our social worlds. Of course, “Who’s She?” is no less biased than “Guess Who?” inasmuch as it prioritizes women and has a very clear political agenda: it’s trying to provide a different sort of framework for kids to work with, providing identifiers such as Nobel Prize winners, artists, scientists, etc. We’d be mistaken to see this as objective inasmuch as there are certain facts that will be presented to frame a particular understanding, but it is interesting to see the ways in which the political climate impacts how children are assimilated into a larger social framework through seemingly innocuous board games. 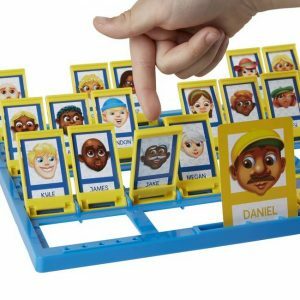 Both “Guess Who?” and “Who’s She?” teach young children that identity is constructed through processes of differentiation and that by asking certain questions we can formulate certain identities and not others based on the position of the observer and the qualities (or differences) they prioritize as important or significant. Next PostNext Am I Middle-Aged?